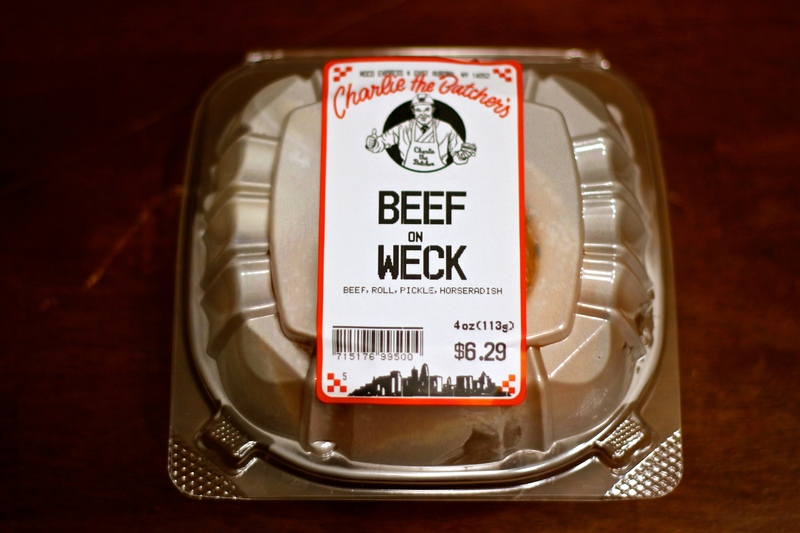 Despite the odd choice of location, I got to watch as the lady behind the counter sliced off some beef, cut the kummelweck roll in half and dipped the top half into au jus and put the pieces together. It came with a side of horseradish for my own personal spreading on the sandwich. 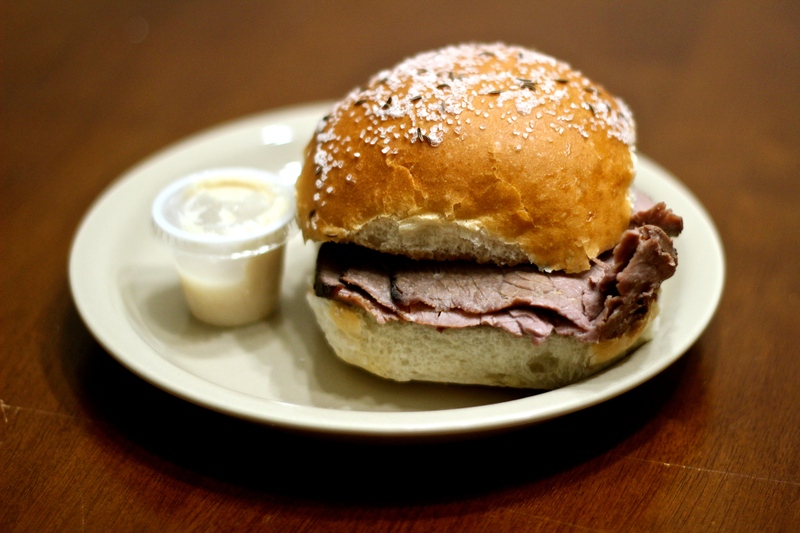 It turned out to be by far the best beef on weck I have had. Granted, it was only my second outing, but the beef was just made for a sandwich like this, without too much flavor so that the salt and carraway could add to it, while the au jus kept it all just moist enough. The beef itself could have been a little more moist, but wasn’t dry enough to complain. Plus, the option of adding my own horseradish was pretty great. After this, I am eager to get out and try one of the full-on Charlie the Butchers. Yet even if I don’t make it, I know Charlie can make one damn good sandwich.